I talked recently about how this is a great year for Americans to travel abroad because the strong U.S. dollar has made some “premium” destinations less expensive than before. If you really want to get the best bang for your buck though, the places I profiled in The World’s Cheapest Destinations are almost all even more of a bargain than they were two or three years ago. Take Indonesia, for example. It was one of the best deals on the planet when I first went there in the mid-90s and it’s still one of the best values today. Granted, you may not notice that in Bali where development has run rampant and seemingly every major luxury hotel brand in the world has muscled in there during the past decade. It’s still beautiful, but also choked with traffic, running out of water, and more expensive than it was when Ubud was still a sleepy village surrounded by rice paddies. The thing is, this is a huge country that stretches across a big part of the globe. The first thing you’ll notice when you look at a map is how many islands there are. Big ones, small ones, long ones, and little dots. Some are very crowded, but others have almost no inhabitants. Some of the best snorkeling and diving in the world is here and you can easily find your perfect beach. There’s a distinct culture though, with interesting music and plenty of cultural dance performances. 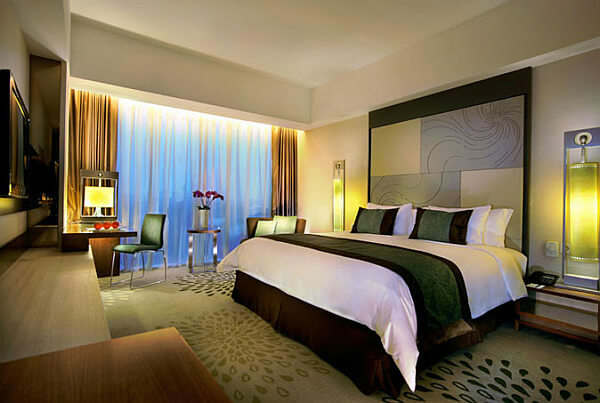 To give you an idea of what it costs these days, consider this: a 4-star hotel in the capital city of Indonesia may cost you $50-$75 and a chain hotel like the Grand Hyatt Jakarta will be a fraction of what it usually is in a major city elsewhere. The very top-end Shangri-La and Mandarin Oriental are less than $200 a night. Back when I first visited, flashpacker types told me with glee, “You can get a nice hotel with a pool in Yogyakarta for $15 a night!” It’s 20 years later and guess what? If you pull up a site like Trivago or Kayak and search Yogyakarta, you can once again find a nice hotel with a pool for…$15 a night. Or you can splurge for a 5-star place and get a pool with fancy lounge chairs and a room like this for $46 on Travelocity. Of course when you take it down to the basic level, to cheap hotels where you’re ladling cold water over your head from a bucket to clean up, you can get down below the proverbial $5 a night here. When I put out the most recent edition of The World’s Cheapest Destinations, meal prices were around 50 cents for a simple street food dish and a buck or two for a meal in a simple restaurant. If you spent more than $15 for two in a restaurant outside the tourist centers or big cities, that was a fancy splurge. But that’s when one U.S. dollar got you less than 10,000 Indonesian rupiah. Now a buck will get you 13,000 and for a while last month it was over 14,000. Look beyond the obvious for the best travel values there. 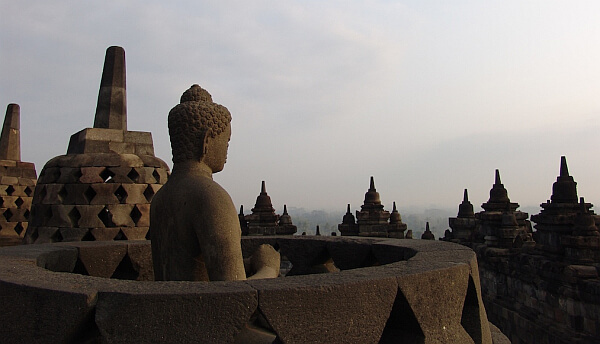 Get away from Java and Bali and spend some time in places not visited by people who don’t have a lot of time. Spend a month in Sumatra. 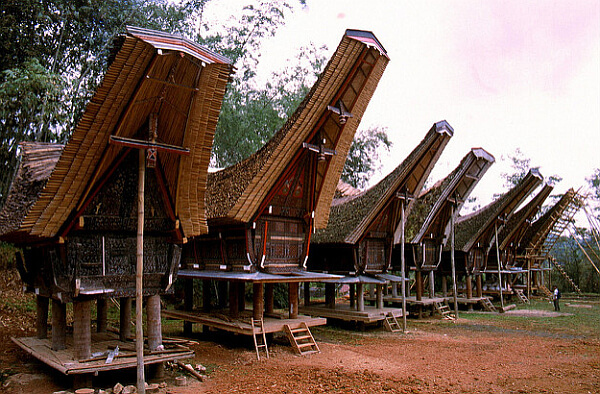 Or in Sulawesi where you can snorkel, go on boat trips, and see traditional houses like this. 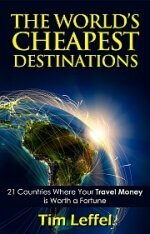 Where are the Other Cheapest Destinations? The places that were the best bargains continue to be a deal, with Nepal and India being the main competition for Indonesia in Asia. India keeps growing its middle class and there are certainly plenty of wealthy people there (especially in Mumbai, which you should escape as soon as possible). Overall though, this is still a country where $1 meals and $5 places to sleep are common and train prices are set by what locals can afford. Even better, the internal flight options are much better than they used to be. From the beginning of 2013 to now, the rupee has gone from 55 to 67 to the dollar. India is a developed country compared to Nepal though, where a devastating earthquake destroyed 10% of the country’s already meager GDP in a hurry and the government has gone years without really functioning. 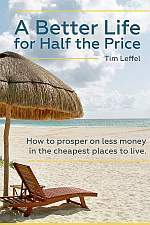 If you head to Nepal with a budget of $1,000 a month, you’re already miles ahead of nearly all locals. And here’s where their currency has gone against the dollar in the past three years:, after I said it was probably the very cheapest place to visit. The euro is down against the greenback, which affects all of Europe, including the countries that use their own currency. In Hungary, the exchange rate has gone from 230 to 280 in three years, a drop of more than 20%. It’s a similar story across Eastern and Central Europe, including Bulgaria and the Balkans. Much of Latin America is tied to the dollar officially or unofficially, yet the rates in Nicaragua and Honduras have both dropped–though not as much as in Mexico and Colombia. In South America, the most welcome change has been in Peru, where the dollar has risen 27% against the local currency in the past three years. The dollar’s strength and euro’s weakness have spread across Africa as well. 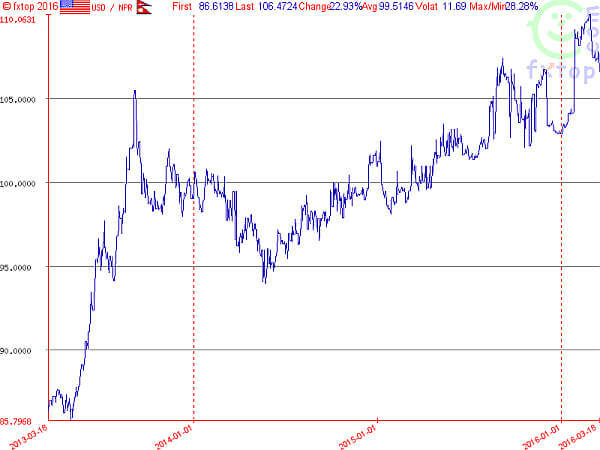 A dollar bought 18.5 Ethiopan birr this time three years ago, now it buys close to 21.5. In the best African country for budget travelers—Morocco—the currency has only declined around 14%, but that still means what was $10 is now closer to $8.60. Have you been out on the road pulling more than usual from your dollar-based account? Where have you found especially good deals? Indonesia is an incredible place but I would also add Vietnam to this list. Super cheap although you have to watch out for the scams! 4:1 during much of my stay in Brazil including Carnival. Funny thing though is that people seemingly always asked me “why Sao Paulo”. I have specific reasons and it’s not business related though it could be in the future. Some might not call a grand bargain but it’s certainly cheaper than it was before. Venezuela is the cheapest and it has the sea, is not lost in the Himalaya and is not muslum and it is not winter cold half year. But the economy is in tatters and its capital is now the most dangerous city on the planet. Thanks for sharing , this is a good read… Will try to visit Indonesia soon..
hryvnia has gone from 8 to 26 to the dollar. 310% !!!!!! !